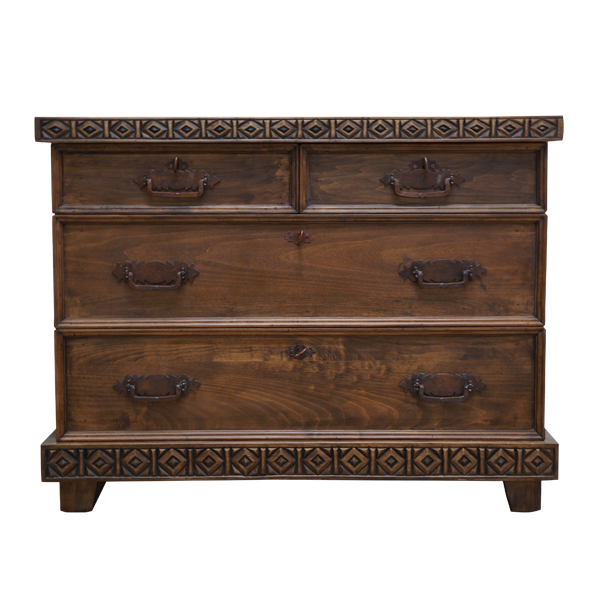 With its lovely, brown, antique finish, this versatile, handcrafted, Western style dresser will blend easily with your existing Western decor. The dresser has two, small, vertical, rectangular, top drawers, followed by two, large, spacious, rectangular drawers. 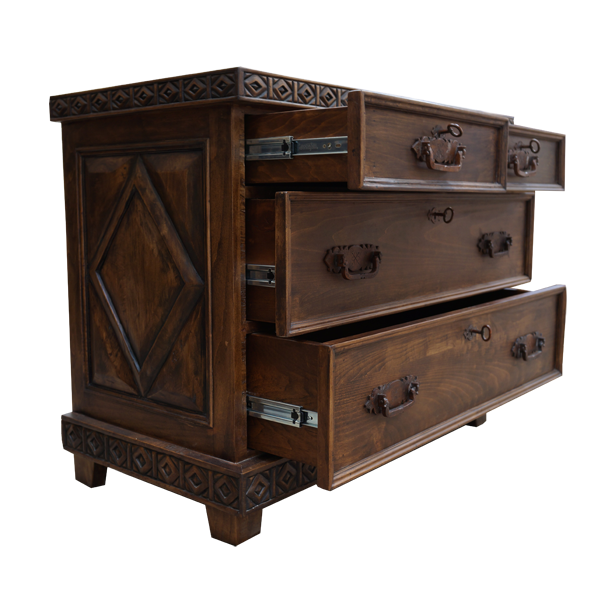 Each of the two, top drawers have a hand forged, iron handle in its center, and the two, bottom drawers each have two, hand forged, iron handles. For security each drawer has a lock with key. 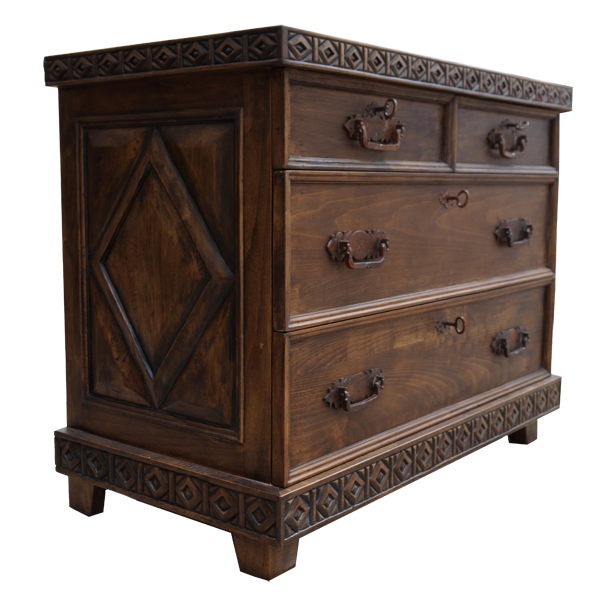 Its straight, classic top rim is adorned with hand carved, geometric designs, and the geometric designs are repeated on the base of the dresser. 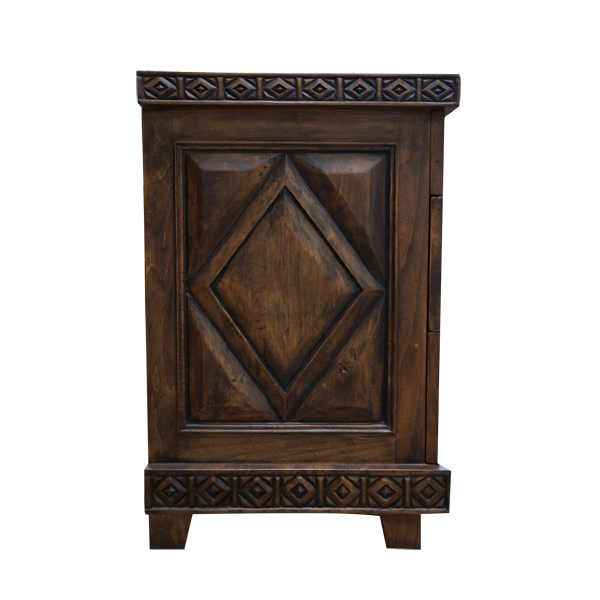 Each side of the dresser has a decorative, rectangular cut panel, with a hand carved, diamond design in its center. The dresser rest on slightly sprayed, study wood feet, and it is made with the best, sustainable, solid wood available. It is 100% customizable.